Texas non-profit aims to reach an additional 200,000 Liberians in 2015 as part of its goal to bring disease-free water and the Gospel border to border by 2020. We have a plan in place to reach every Liberian with clean water in the next 70 months. We just need the donations to do it. International relief efforts mean that there have been very few new Ebola cases reported in the last month, leading some to believe that Liberia will be declared Ebola-free by June. However, Liberians continue dying at a startling rate from water-borne diseases. Eight children have died in a single village from cholera in the past several months, and hundreds die across the country each week from this and other illnesses caused by contaminated drinking water. To stop these needless deaths, The Last Well (TLW) is intensifying its efforts to bring clean water and the Gospel to all Liberians by 2020. The Last Well exists to do something that has never been done: “provide access to clean water for the entire nation of Liberia — border to border — and offer the Gospel to every Liberian we serve by 2020.” At the same time, we’re encouraging the next generation of Christ-followers to live out God’s purpose for the church and to be the agent of change for the world, regardless of the need. 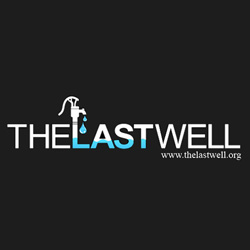 Learn more at http://www.thelastwell.org.